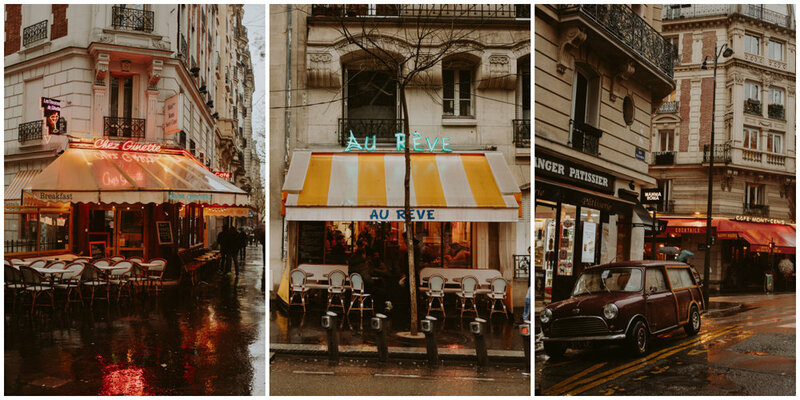 Paris was cold and rainy, but oh so fun. 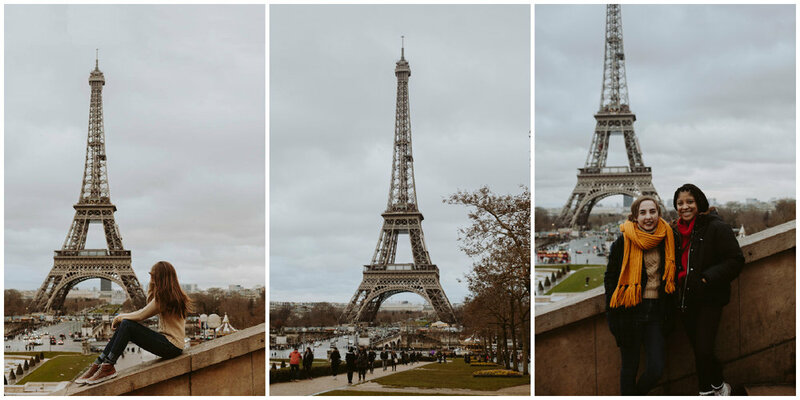 As you can see from the photos below, our time in Paris was quite gloomy, but to me that was the best part. 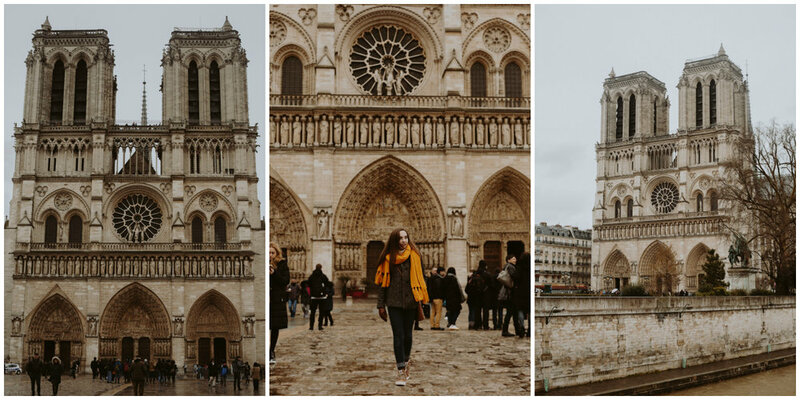 With less tourists exploring the city, we had the opportunity to experience Paris in a light most don't see. We started off our first full day in Paris exploring the Notre Dame, but our day couldn't start off without my favorite breakfast: crêpes! I am able to travel so often because I do it on the cheap side. Street food is incredibly inexpensive and I picked up a champignons et fromage crêpe (mushroom and cheese) for only 5 €. I quickly scarfed down my breakfast before entering the Notre Dame. We then made our way over to Shakespeare and Company after wandering through the incredible cathedral. 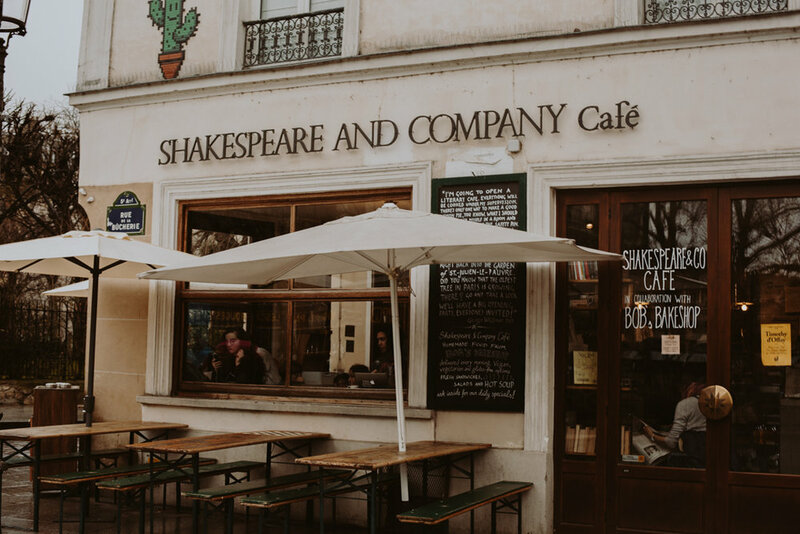 Shakespeare and Co continues to be one of the most inspirational places in Paris for me. 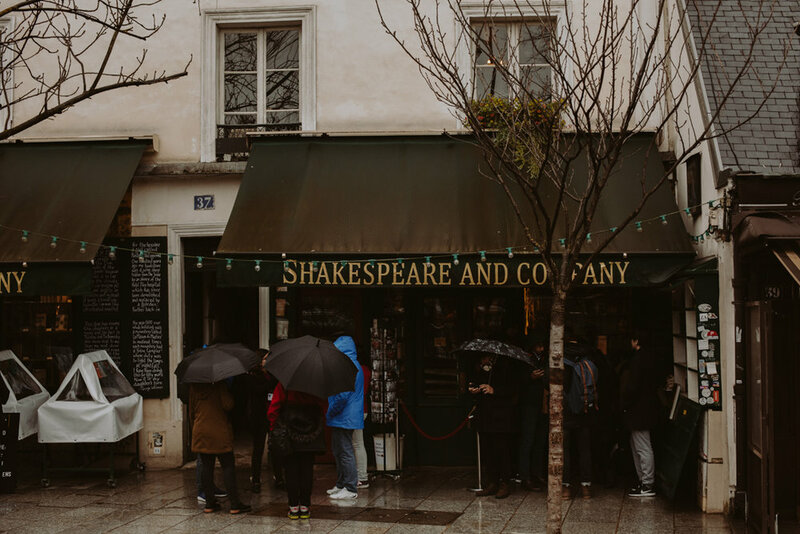 Although it is not the original bookstore opened by Sylvia Beach, this one is modeled after the first Shakespeare and Co that was closed during WWII and was given original owner Sylvia Beach's blessing to bear the name. The likes of Hemingway and Fitzgerald, two of my writing inspirations, hung around the original store making this reincarnation all the more special to me. We finished off the first day with a stroll along the Seine to the Louvre. As soon as we reached our destination, it began to pour and not the California version of pouring, the real one. We took cover for a bit and within a few minutes the rain subsided. We soon realized the on and off pouring of rain is what the rest of our trip would entail. We woke up bright and early Saturday morning not to explore the city, but to do laundry. When you have been on the road for over a week with only a carry on like my traveling companion Lorina had been doing, a laundry day is necessary! We found the closest laundromat and after conversing with the kindest French lady through a mixture of French, Spanish, and a bit of pointing, we managed to get our laundry going. 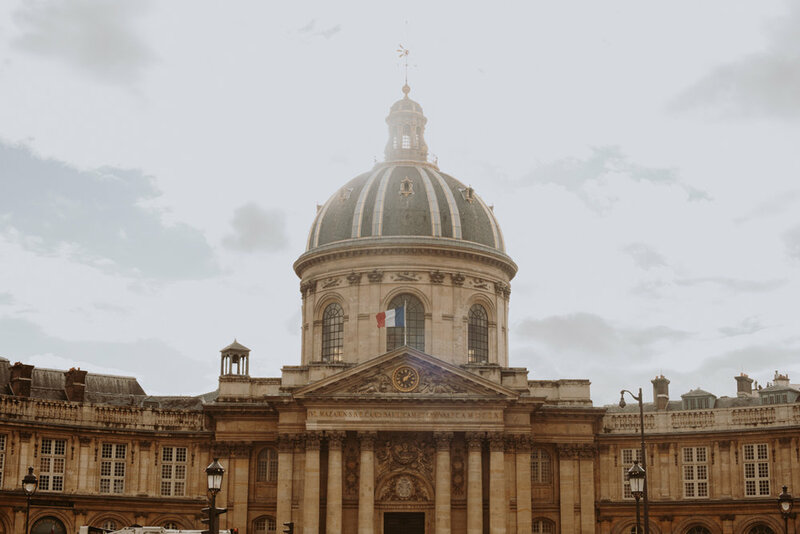 After having many bad encounters with Parisians over the last few years, it is always refreshing to meet the sweet, helpful people within the city. Despite what others tell you, they do exist in Paris! We folded the laundry and then hopped onto the Metro to meet my friend Marissa at the Champs Elysées. We have been friends since high school and met through our high school boyfriends who played water polo together. Over 5 years later, we have both broken up with them, but stayed friends. The summer of 2016, I actually spent three weeks in Paris and exploring Italy with her. To be honest, she is one of my favorite parts of visiting this city and makes it feel like I am at home whenever I am there. 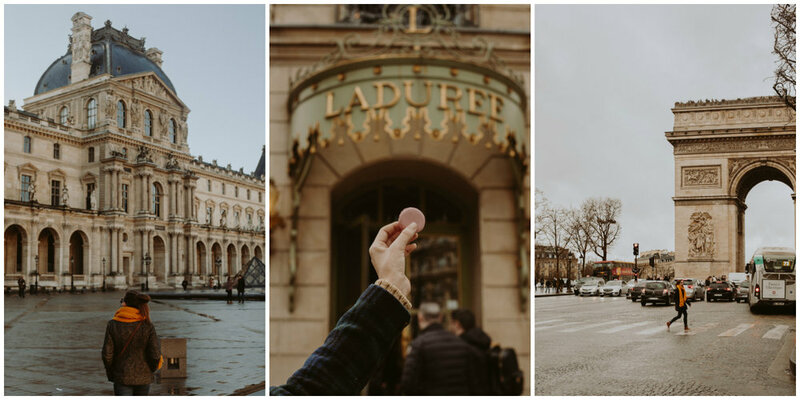 We did the usual along the Champs Elysées with a stop of the Arc de Triomphe, a visit to Ladurée for macrons, and purchased our Disneyland tickets. I always forget how big this street actually is and accidentally made Lorina walk from one end to the other to find the Disney store — oops. We then made our way on over to the Eiffel Tower for some pictures and finished the night off with dinner. Our third full day in the City of Lights started off with church at Hillsong. I have some beefs with this church, but I won't get into that in this blog (had to put this in here for my fellow Biola peeps). 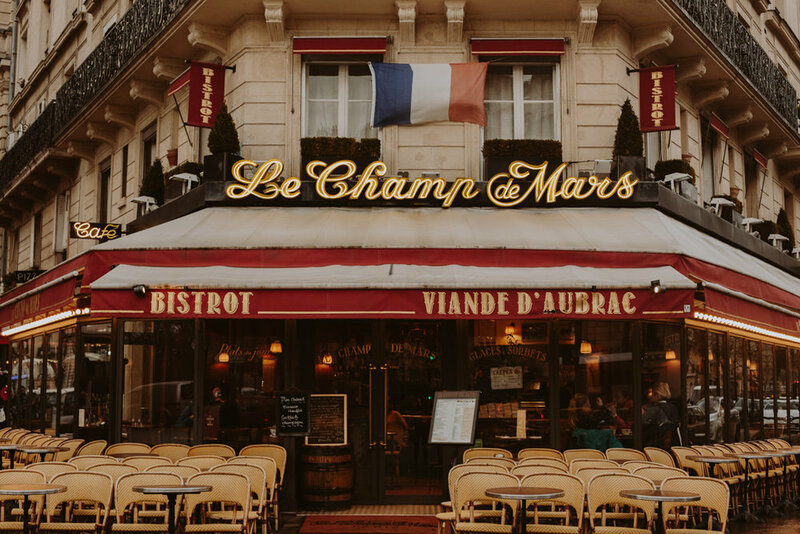 We grabbed lunch near church and then headed off to Montmartre — one of my favorite places in this city. 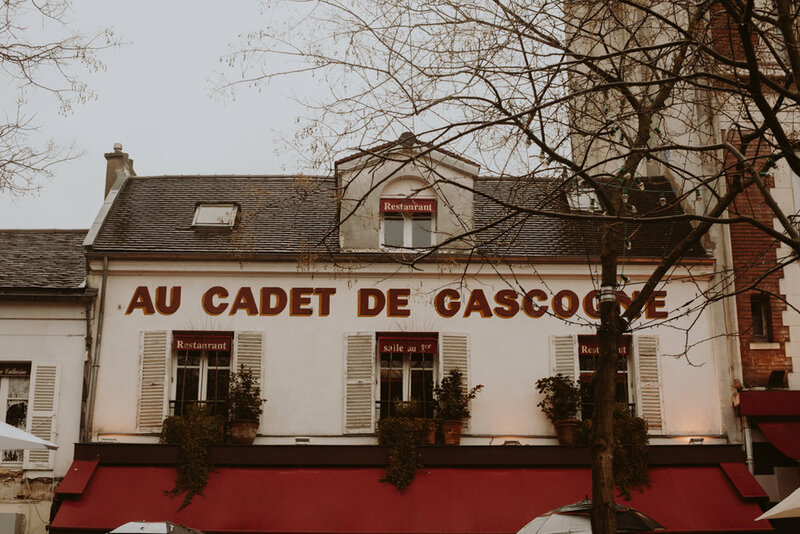 We started off exploring the Sacré-Coeur and then wandered around in the seeming empty little town. 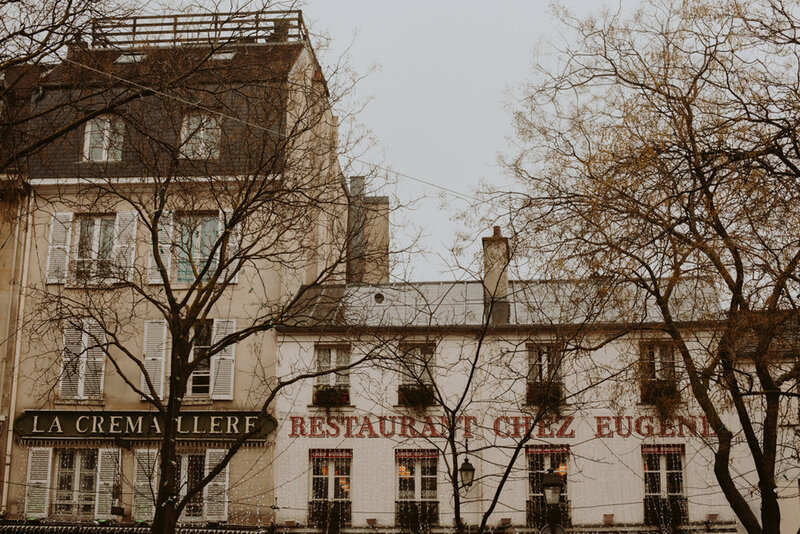 If you have ever been to Montmartre in the warmer months, you would know it is usually jam packed with tourists, artists, and scammers, but due to the rain it was practically empty. I loved having the opportunity to to take some photos of one of my favorite places without having to dodge people. I picked up a tart at my favorite pâtisserie in Paris and ended Sunday a bit earlier in preparation for our long Disneyland trip the next day.